A U.S. appeals court ordered the dismissal Friday of a lawsuit challenging President Bush's domestic spying program, saying the plaintiffs had no standing to sue. The ruling marks a legal victory for Mr. Bush, who last month suffered a pair of court defeats related to his anti-terror efforts. Those rulings barred the administration from locking up civilians indefinitely as enemy combatants, and another blocking the prosecution of two Guantanamo detainees. The 2-1 ruling by the 6th U.S. Circuit Court of Appeals panel in Cincinnati vacated a 2006 order by a federal judge in Detroit, who found that the post-Sept. 11 warrantless surveillance aimed at uncovering terrorist activity violated constitutional rights to privacy and free speech and the separation of powers. U.S. Circuit Judge Julia Smith Gibbons, one of the two Republican appointees who ruled against the plaintiffs, said they failed to show they were subject to the surveillance. The court ruling means that if Bush restarts the program, ordinary Americans will have a much harder time challenging it in court. The court ruled that, unless people can prove they're being eavesdropped on, they will have a hard time suing. The dissenting judge, Democratic appointee Ronald Lee Gilman, believed the plaintiffs were within their rights to sue and that it was clear to him the program violated the Foreign Intelligence Surveillance Act of 1978. Although the Bush administration said in January the program is now overseen by a special federal intelligence court, opponents said that without a court order, the president could resume the spying outside judicial authority at any time. The Justice Department has said the case is moot. The American Civil Liberties Union led the lawsuit on behalf of other groups including lawyers, journalists and scholars it says have been handicapped in doing their jobs by the government monitoring. Others have filed court challenges to the program; this case proceeded the furthest. The decision "insulates the Bush administration's warrantless surveillance activities from judicial review and deprives Americans of any ability to challenge the illegal surveillance of their telephone calls and e-mails," ACLU Legal Director Steven R. Shapiro said in a news release. 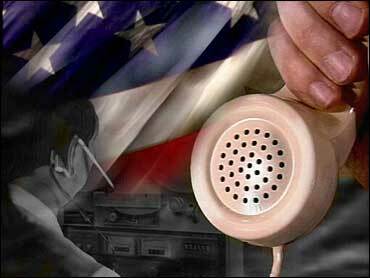 The Justice Department did not immediately return a call seeking comment. White House spokesman Tony Fratto said, "We have always believed that the District Court's decision declaring the terrorist surveillance program unconstitutional was wrongly decided." The ACLU is reviewing its options, including taking its challenge to the Supreme Court, Shapiro said. If the group does not appeal, the case will be sent back to the U.S. district judge in Michigan for dismissal. The administration had said it sometimes needed to act without waiting for the secret Foreign Intelligence Surveillance Court, established by a 1978 law. Bush authorized the program in the aftermath of the Sept. 11 terrorist attacks. The ACLU filed suit in January 2006, a month after the program's existence became known publicly. The government said the case involves state secrets whose disclosure would threaten national security. "The information ... is highly sensitive in nature, and goes to the heart of how the government's foreign intelligence gathering is conducted at a time when the nation is at war with an enemy that has already inflicted devastating damage on the United States by operating through a shadowy terrorist network," a Justice Department brief stated.